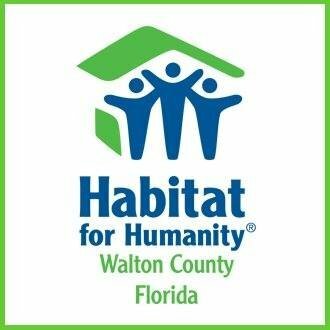 Habitat for Humanity of Walton County has record-building year! 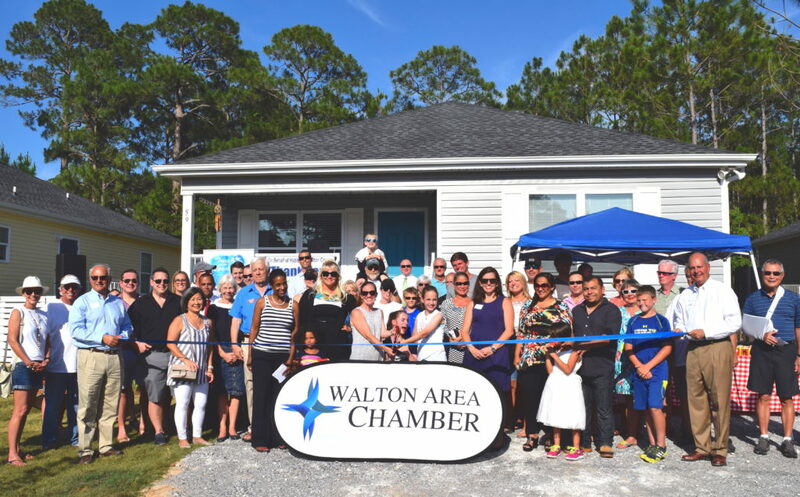 Habitat for Humanity of Walton County celebrated a milestone build year in the organization’s history, during a year that was a milestone itself. In it’s 20th year of operation in Walton County, Habitat partnered with five families in their journey to homeownership – the most homes Habitat Walton County has ever built within a year. On Friday, May 19th, three of the families together celebrated their journey with a home dedication ceremony in conjunction with Habitat’s 20th Anniversary Block Party to close out the build year. The Block Party welcomed the community and their families to a backyard style get-together including hot dogs, cotton candy, popcorn, treats, music by B-Boy Productions, sand art and yard games. Thanks to many large sponsors, Habitat was able to partner with the Druin family (Home 42), the Crowley family (Home 43), the Mendez family (Home 44), the Hardwick family (Home 46), and Betty Seagle (Home 45). The home dedication and block party was held at Habitat Homes 42, 43 & 44 located at North 6th Street in Santa Rosa Beach. Home 45 is located on East Renoir Road and Home 46 on N 6th Street in DeFuniak Springs. To conclude the ceremony a ribbon cutting was held with the Walton Area Chamber of Commerce, as well as a special housewarming gift from the non-profit organization Trees on the Coast: a crape myrtle tree in each of the family’s front yards – the only trees in their landscaping. The surprise was presented and planted by Trees on the Coast board members and Executive Director Allen French. Imdieke admits that taking on an extra home was a challenge and stretched every resource the organization had, but were proud of the partnerships, sponsors, and volunteers for providing Habitat the ability to serve more families than ever before. Affordable housing continues to be a challenge for many families in Walton County. According to the most recent United Way ALICE Report (Asset Limited, Income Constrained, Employed), over 42% of Walton County residents are struggling to afford basic needs. Supported by sponsors, volunteers, and the Habitat Walton County ReStore (the organization’s discount home improvement store), Habitat addresses this growing challenge through its program of providing homeownership education and opportunities to become Habitat homeowners. Habitat Walton County now looks to the build year ahead and the organization’s future. Four homes have officially been announced for the next build year, which begins in October. Two homes will be built in Santa Rosa Beach and two in DeFuniak Springs. Habitat partner families have not been selected yet, as applications are currently being accepted for the selection committee’s review in September. If you or someone you know is in need of safe, decent, and affordable housing please visit waltoncountyhabitat.org/prequalify for qualification requirements and to apply.